Remove rear side door opening floor carpet retainer. Refer to Rear Side Door Opening Floor Carpet Retainer Replacement. Remove body rear seat back trim panel. Refer to Body Rear Seat Back Trim Panel Replacement. Remove lower rear shoulder belt fastener. Refer to Shoulder Belt Replacement - Rear. 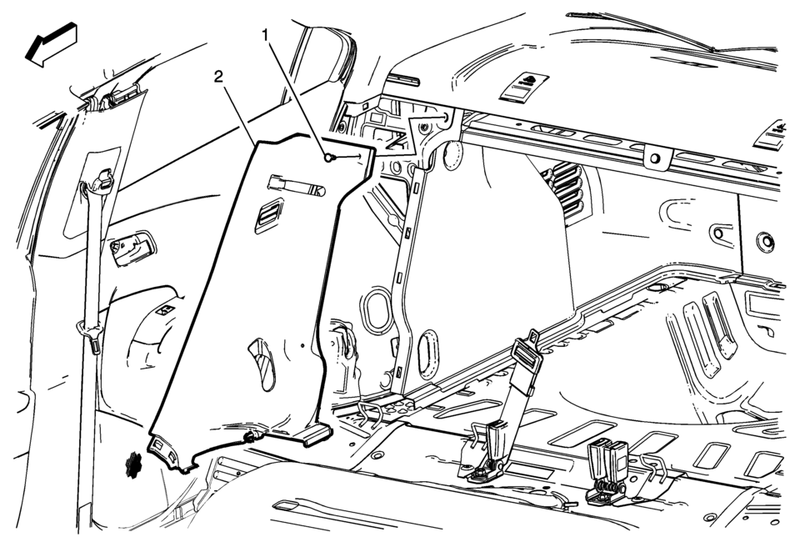 Ensure seat belt assembly is routed over and through opening in panel assembly.